New rules recently adopted by the Federal Communications Commission (FCC) to help emergency responders better locate wireless 911 callers highlight the role of GPS and GNSS technologies while boosting the use of alternative positioning technologies in indoor locations. However, the new enhanced (11 (E911) rules, adopted January 29 and published on February 4, explicitly avoided a decision on the use of GNSS systems other than GPS. The E911 rules were originally adopted in 1996 and underwent their last major revision in 2010, but they allowed providers to meet accuracy standards based solely on the measured performance of outdoor wireless 911 calls. 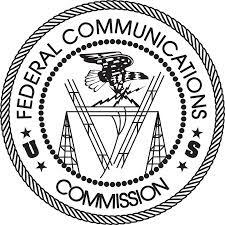 The new rules will require wireless telecom companies, referred to in FCC terms as commercial mobile radio service (CMRS) providers, to ensure “dispatchable location” or x/y location within 50 meters can be provided to 911 call centers, known as public safety answering points (PSAPs), within 30 seconds, regardless of indoor or outdoor location. Dispatchable location means the street address of the calling party, plus additional information such as suite, apartment, or similar information necessary to adequately identify the location of the calling party. The requirement begins at 40 percent of the calls within two years and 80 percent within six years. 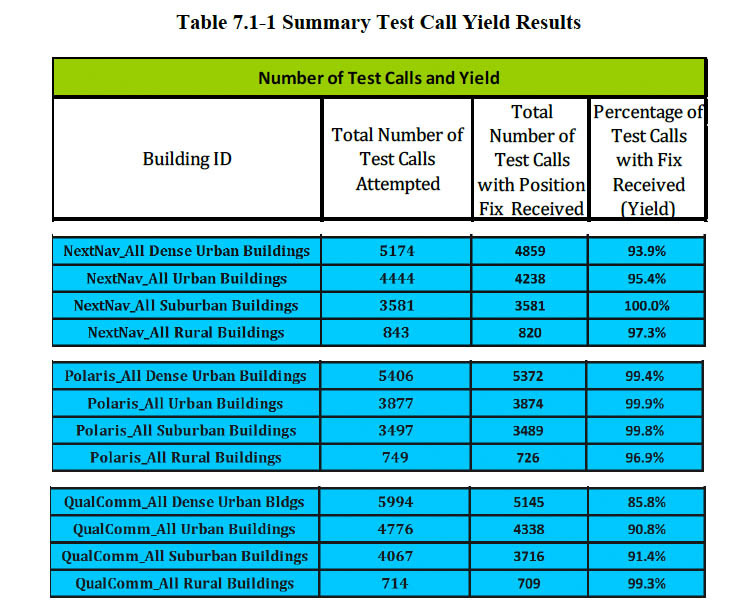 Separate vertical location reporting requirements are also laid out in the FCC’s order. Regional mobile phone service providers have similar requirements but a more flexible time line. In determining the appropriate balance to strike in its requirements and timeframes, the agency gave significant weight to the “Roadmap for Improving E911 Location Accuracy” that was agreed to in November 2014 by the Association of Public Safety Communications Officials (APCO), the National Emergency Number Association (NENA), and the four national wireless Commercial Mobile Radio Service (CMRS) providers. The FCC commissioners also relied on the “Parallel Path for Competitive Carriers’ Improvement of E911 Location Accuracy Standards” (“Parallel Path”) that was submitted by the Competitive Carriers Association (CCA). Although the FCC had come to support the use of GPS and assisted-GPS techniques in meeting its E911 goals, it did not abandon GNSS technology in adopting the indoor-oriented rules. On the other hand, the agency was unwilling to accept GNSS E911 solutions other than GPS for the time being. “We do not decide the issue of operating with non-U.S. satellite signals in this proceeding, which would require consideration of a variety of issues, including its potential impact on the use of adjacent bands,” the report and order stated. “Therefore, nothing in today’s decision authorizes the use of any non-U.S. satellite system in conjunction with the 911 system, including the 911 location accuracy rules we adopt today. CMRS providers seeking to use non-U.S. satellites should also conduct testing “to ensure that operation with these signals does not inadvertently introduce vulnerabilities to the devices that could impair E911 performance or compromise data integrity,” the reported added. For example, devices that are augmented to receive signals from multiple satellite constellations may be more susceptible to radio frequency interference than devices that receive signals from GPS alone. Devices should also be evaluated to determine their capabilities to detect and mitigate the effects of inaccurate or corrupted data from any RNSS system that could result in incorrect location information, or no information at all, being relayed to a PSAP,” the commissioners said, referring specifically to the GLONASS system failure on April 1, 2014.